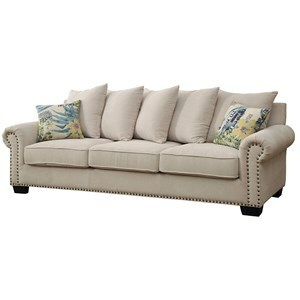 The Sofa with Turned Arms is a classic piece of furniture to add to your home. 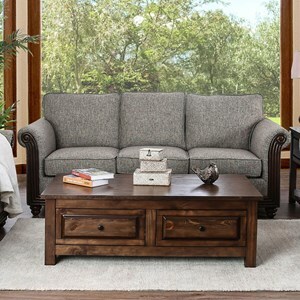 This piece is cozy yet stylish, and has several great features such as luxury boxed cushions, welt cords, a semi-attached back, rolled arms with covers, and wood block legs. 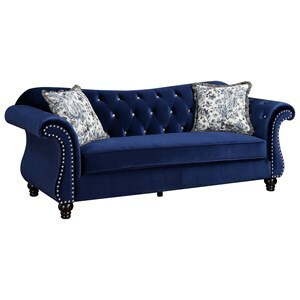 This sofa also includes two accent pillows with an optional contrasting fabric, adding depth and excitement to your space. This item is customizable and can be upgraded to include plush or extra-firm luxury cushions, contrasting welt cords, fringe, and braids. 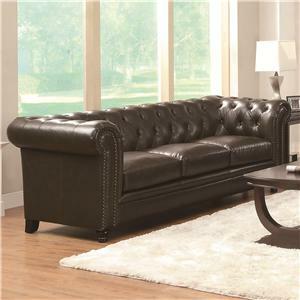 It is also available with nail head trim as a separate item in this collection. 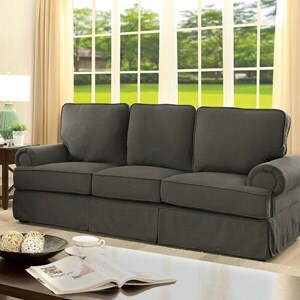 The Whitney Sofa with Turned Arms and Wood Block Feet by Flexsteel at Rooms for Less in the Columbus, Reynoldsburg, Upper Arlington, Westerville Ohio area. Product availability may vary. Contact us for the most current availability on this product. Tailoring Every pattern is precision-cut and meticulously placed, including matching and centering. The Whitney collection provides you with customizable quality sofas, love seats (not shown), chairs, and ottomans for your living space. Created with a semi-attached back, rolled arms, and wood block legs, these items are elegant yet snug. This collection holds several options for you to adjust to your liking. Each item has the option to include a decorative nail head trim, or to go without it. You can also choose from several types of cushions, and special aesthetic features like contrasting welts, fringe, and braids. Whether you choose to customize each piece or stick with the standard option, this collection is crafted for you to feel luxurious and relaxed in your day to day life. 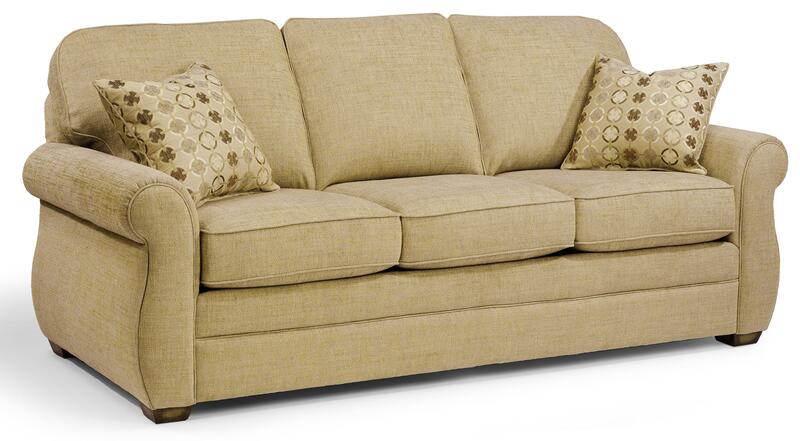 The Whitney collection is a great option if you are looking for Transitional furniture in the Columbus, Reynoldsburg, Upper Arlington, Westerville Ohio area. Browse other items in the Whitney collection from Rooms for Less in the Columbus, Reynoldsburg, Upper Arlington, Westerville Ohio area.